Can I get Training for my Product? If you have an RF500 Monitoring System our team of experts are available, providing expert training on-site. For all other Comark products we provide technical support though our Systems Support Team. Our team are ready to give advice, training and help. As part of this our team have access to using ‘LogMeIn’ to log in to a local PC to give more hands on guidance. In the UK for advice, please contact the Systems Support team on 0207 942 0712 , selecting option 3. 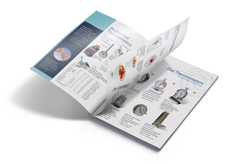 Comark has provided many Knowledgebase Articles for Comark Products on all manner of subjects, from help with RF500 Error Codes to care for your Comark Thermometer. To find Knowledgebase Articles for your product, simply navigate to the product or use the search function, found in the top right-hand section of any page. Visit the ‘Support’ tab on the relevant Product page for the available Knowledgebase Articles and How-To-Videos specific to that device.. Note: In order to gain access to the Knowledgebase Articles you must have a Comark Website Account. Click Here to sign up. To send an e-mail question to our Technical Support Team please Contact Us. Please click here for the Contact Us information. Why do I need a Comark Website Account?